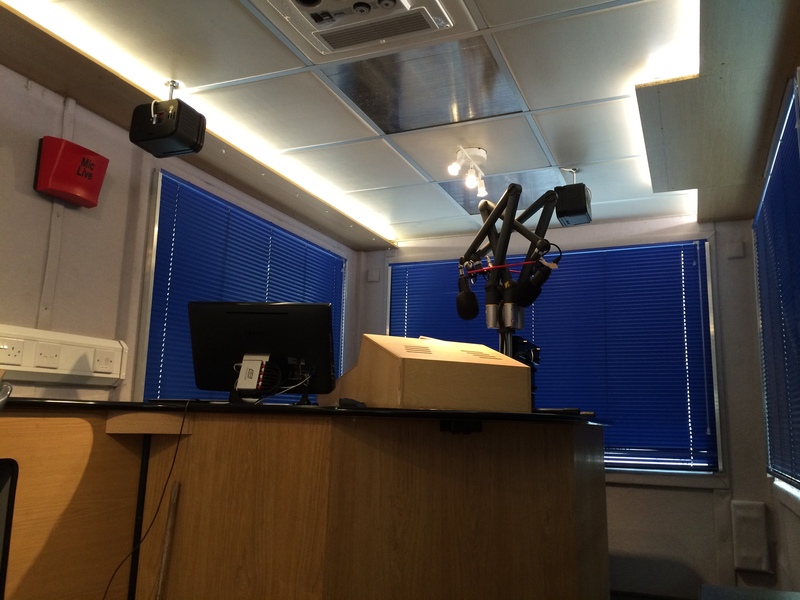 Are you planning an outside broadcast, RSL (restricted service license) or an in-house radio studio? 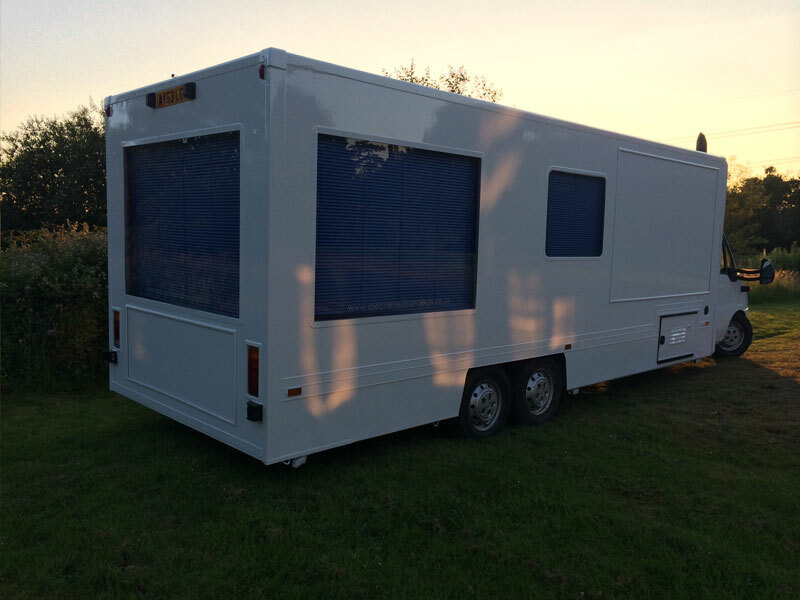 Our Radio Outside Broadcast Truck, might just be the perfect home from home that you're looking for. 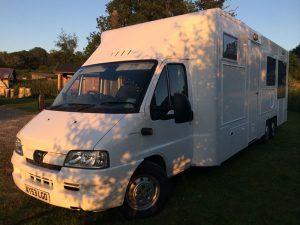 Our Radio OB truck is available for hire right across the UK. We believe its "one of a kind" with no-one else providing this kind of vehicle for radio broadcasters. Make an impact with your listeners, "BE SEEN BE HEARD", grow your brand, Interact with advertisers, broadcast live from this exclusive mobile studio. An organisation is hosting a live event, such as a music festival or celebration for a ship launch. The organisers are conscious that those attending will need to be provided with more information than they perhaps might get from local radio. 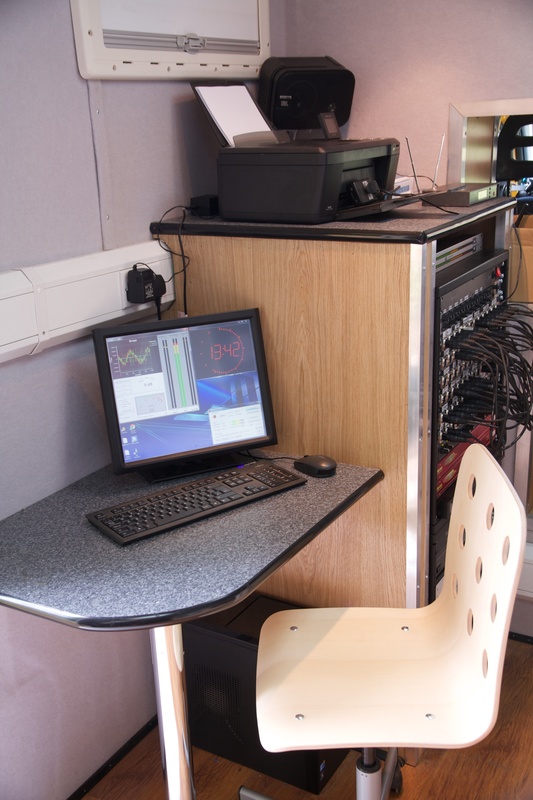 Our OB truck becomes their own RSL Radio Station, broadcasting to the immediate and surrounding area on FM, providing news, travel updates and entertainment, giving the listener 'behind the scenes access' to the event and engaging with the community. Whats more, is that the radio station is 100% branded to the event or company hosting the special happening. A major supermarket chain is hosting a product launch at a flagship store. 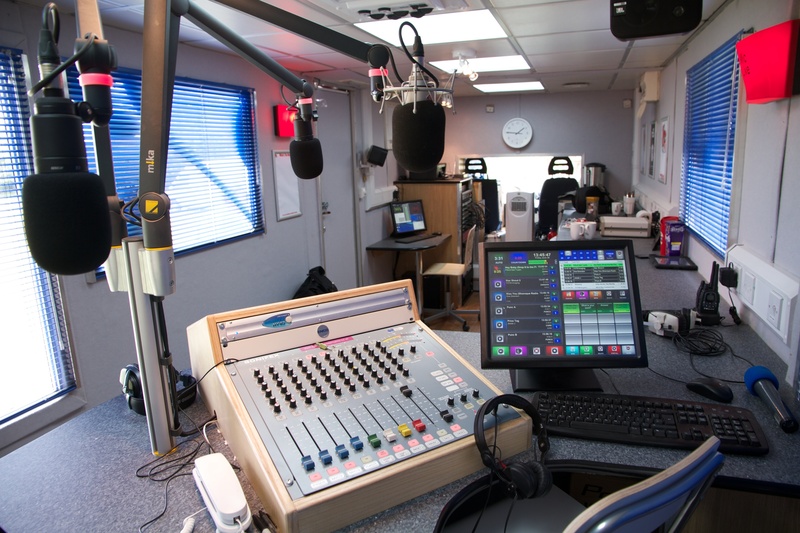 Our OB Truck becomes their own in-house radio station's studio for the day, relaying the launch, audio and atmosphere to every other store in the country and online through social networks and their own website. Every store and valued customer is engaged in the product launch, enhanced by the live audio and backed up with social interaction. 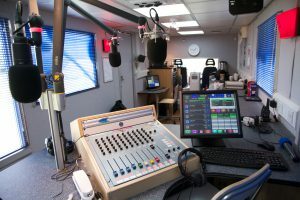 A school is looking for an exciting and entertaining way to introduce students to the world of radio and media, but perhaps do not have the available skill set or equipment. Our OB Truck and team of experts arrive at the school and set up in the morning, we then take a group of students through the basics of running a radio station, teaching them the principles of news, writing, generating revenue and how to engage with the listener. We then spend the afternoon broadcasting the material created in a 'live' show through the schools intranet system and via PA speakers around the location.